This ‘hopper tour’ gives you amazing views over Cape Town. 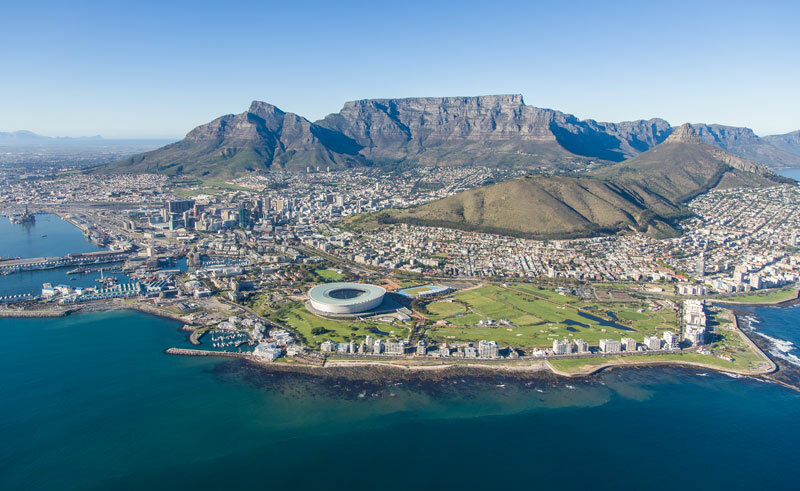 Leave from the V&A Waterfront and fly over the city bowl, the new Green Point Stadium, the famous four beaches of Clifton, the white sands of Camps Bay and the majestic Twelve Apostles before making an about turn back to Cape Town. Price: from £104 based on 2 people sharing. The helicopter can hold a maximum of 6 passengers, contact us for a rate if you have more in your party. Different flights are also available.